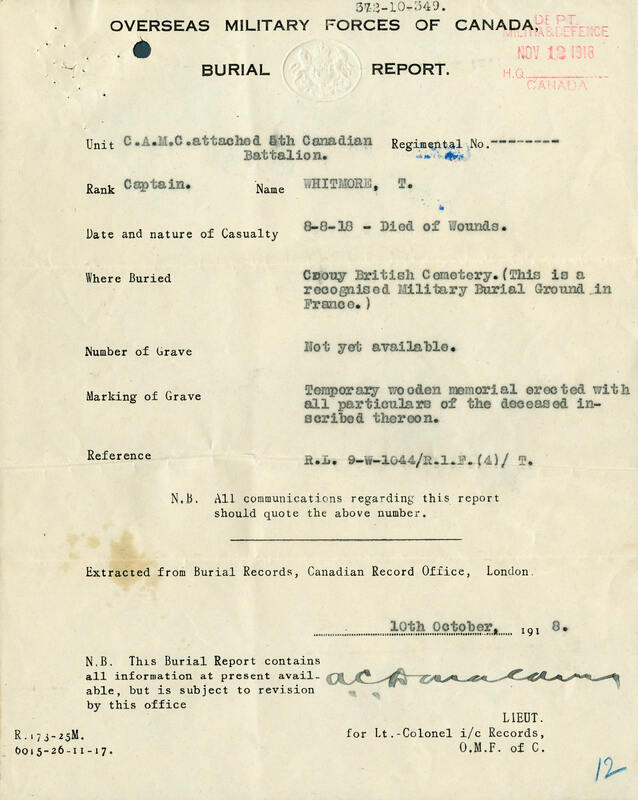 This burial report for Captain Thomas Hazel Whitmore, a medical officer in the Canadian Army Medical Corps, notes his date of death and temporary burial site. After the war, his body was disinterred and moved to the Crouy British military cemetery northwest of Amiens. The nearly 800 graves at Crouy are now maintained by the Commonwealth War Graves Commission.